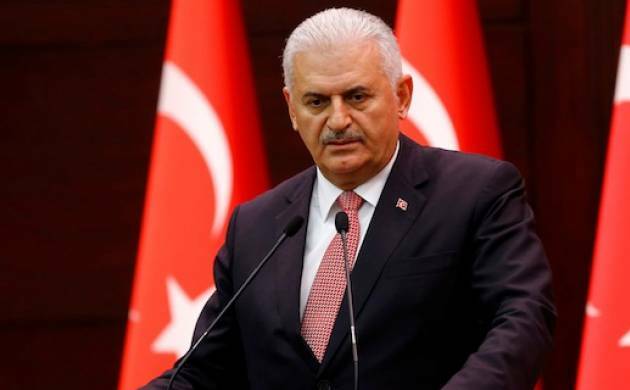 Turkish Prime Minister Binali Yıldırım on Sunday strongly criticized people who have condemned a new state of emergency decree that gives immunity to civilians who take part in thwarting coup and terror incidents, saying they’re no different than coup plotters, Cumhuriyet reported. “We have issued a law to protect our heroic citizens who advanced on putschists, climbing on tanks and detaining them and handing them over to the police. Whoever opposes this is no different than coup plotters as far as we’re concerned. I am stating this very clearly,” Yıldırım said during a speech at a provincial congress of the ruling Justice and Development Party (AK Party) in Burdur. Yıldırım’s statement came the same day that Turkish President Recep Tayyip Erdoğan called former President Abdullah Gül a “troublemaker,” due to his call on the government to revise the new state of emergency decree. “Are not we friends for a common cause? How could you embark on the boat of Kemal [main opposition Republican People’s Party (CHP) Chairman Kemal Kılıçdaroğlu]? Shame on you!” Erdoğan said during an AKP meeting in Kastamonu province..
“The ambiguity that does not comply with legal parlance in the text of state of emergency decree No. 696, which I think was released to protect the hero citizens who took to the streets to resist a traitorous coup attempt on July 15, is worrisome in terms of a state of law,” Gül said in a tweet. “I hope to see its revision in order to avoid giving an opportunity to events and developments that could sadden all of us,” he added. Erdoğan’s reprimand is also considered to be targeting Bülent Arınç, one of the founders of the AKP, who retweeted Gül’s tweet. This article originally appeared in Turkish Minute on Dec 31, 2017.